Québec’s Eastern Townships have been among your favorite under-the-radar destinations for years. Since it’s nestled between the United States’ northeast border and the Saint Lawrence River, the area feels like New England. It has rolling hills, pristine lakes, cool rivers, and picturesque villages. Antique stores, little pastry shops, and historic hotels haven’t been overtaken by big chains. The food is seasonal and locally focused. While there are plenty of activities—from canoeing and fly fishing to tennis lessons and bike tours—to keep you outside until the sun goes down. You’ve only visited this hidden gem in the summer, though. The rest of the year, it’s either a fond memory or a plan for the future. But not this year. For the first time, you’re returning in the winter. You want to see the lakes frozen with ice and the hillsides covered with snow. You want to bundle up to go ice skating, snowshoeing, and maybe even try ice fishing. 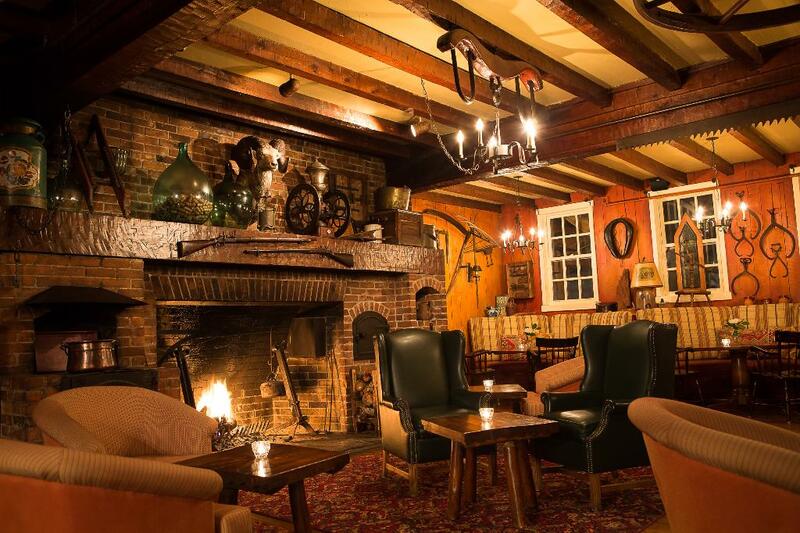 Then you want to sit by crackling fireplaces and sip hot beverages when you emerge from the cold. There’s one thing that won’t change about this trip: North Hatley. The small town, on the northern end of Lake Massawippi, is one of the prettiest spots in Québec. Though it was originally settled by New Englanders, who left home after the United States declared its independence from England, its architecture has more of a Southern feel. Artists flock here for its natural beauty. Tourists come for its tranquility. While you keep returning to Manoir Hovey. 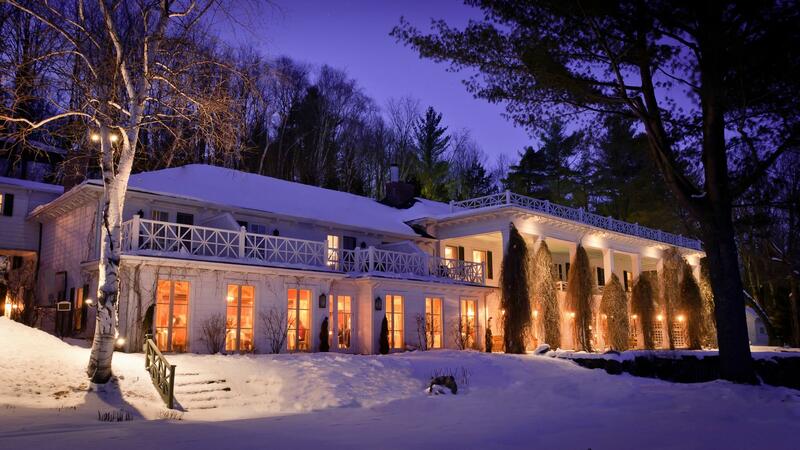 Manoir Hovey, built in the early 1900s to resemble Mount Vernon, was the summer residence of an Atlanta businessman. Fifty years later, the white mansion was turned into a hotel that was named after one of the area’s original settlers. English flower gardens, spacious lawns, a heated pool, and a private beach still fill the property’s 30 acres along the shore of Lake Massawippi. Not that you can see much of them at the moment. Snow blankets just about everything. Icicles hang from the Adirondack chairs and the dock. A skating rink has been set up atop the frozen lake. Plus an ice fisherman is drilling holes farther from the shore. The hotel is warm and cozy inside, though. Richly printed fabrics and antiques mix with modern decor throughout the common areas. Your luxury room, which features a panoramic view of the lake, has a gas fireplace and a double therapeutic tub. There’s a goose-down duvet on the comfortable king-size bed, as well. Le Tap Room has a hot chocolate menu (add a spot of whiskey to the spicy dark chocolate) and a s’mores bar by its antique fireplace. Le Hatley Restaurant’s table d’hôte menu is focused on preserves for the winter. They’re accompanied by duck magret, Laurentian bison, and venison loin right now. While, with 900 bottles of wine in the cellar, it wouldn’t matter if you got snowed in for a few days. So, after checking the snow tires on your car and packing a few extra layers, it’s time to head north. North Hatley is only 30 miles north of the Vermont border and two hours from Montréal. You can be snowshoeing by mid-afternoon, sipping hot chocolate by sunset, and sampling homemade winter-harvested apple vinegar by dinner. Then you can finally stop saying “summer” when you describe your favorite Canadian escape.